Mackenzie is the newest addition to the Salon Dominique team. 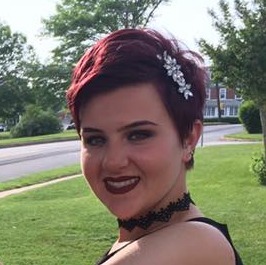 Mackenzie currently attends tech school for cosmetology and Plymouth Whitemarsh high school. Mackenzie has 1/2 a year left of high school and tech school for cosmetology. Mackenzie has such a passion for the hair industry. Mackenzie has a very upbeat personality, she is always very chipper and pleasant, and has a sense of creativity in everything she does. I am excited to see her blossom and grow in this industry.